Quick summary: This activity is designed to encourage children to spend more time outside in green spaces. There is a significant body of research now available that suggests that access to ‘green spaces’ plays a significant role in assisting children to reach their full potential in terms of their development, mental and physical health and wellbeing. Green spaces provide numerous stimuli for the senses. When there is an intensity of sensorial input (multiple senses at the same time) children’s brain and physical developmental opportunities are optimised. This is critical for all human development, but particularly young children experiencing a very rapid developmental stage. Equipment needed: You will need a range of pots or containers; soil; mulch or straw; a range of seeds or seedlings (depending on the activity you are going to do); clipboards; drawing materials; magnifying glasses; loose parts and art and craft materials. 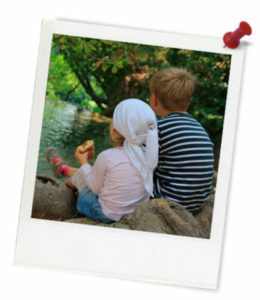 Learning goals: This activity is designed to encourage children to spend more time outside in green spaces. There is a significant body of research now available that suggests that access to ‘green spaces’ plays a significant role in assisting children to reach their full potential in terms of their development, mental and physical health and wellbeing. Green spaces provide numerous stimuli for the senses. When there is an intensity of sensorial input (multiple senses at the same time) children’s brain and physical developmental opportunities are optimised. This is critical for all human development, but particularly young children experiencing a very rapid developmental stage. 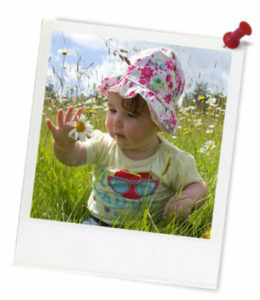 Younger children will experience nature through all of their senses and older children will explore what nature provides for them and other species sharing their environment.